Zero is the number of potential or nothingness before manifesting. It represents possibilities, change, freedom and a new journey/direction. One is a new beginning and correlates with the Aces. It represents a breakthrough, independence and courage. Two is known as the Lord of Love. It represents balance, interaction, choices, duality, harmony and relationships. Three reflects the Lord of Abundance. It symbolises creation, networking, social interaction, communication, family and fun. Four is the Lord of Blended Pleasure. It is about structure and stability, a sense of belonging and possessions. Five is Lord of loss in Pleasure. It is a number of challenge, change and crisis. The need to adapt and navigate. Six is Lord of Pleasure. It is the aftermath of conflict. It is about sacrifice, karma, community, retrospection, balance, family, nurturing and journey. Seven is Lord of Illusory Success. It is a spiritual number. A tension between will and self-control, repercussions of decisions, solitude, growth and lessons. Nine is Lord of Material Wealth. It reflects the completion of a cycle, test beliefs, patience, compassion, perfection, disengagement, transition and understanding. Ten is Lord of Perfected Success. You are everything you need to chart your own course. 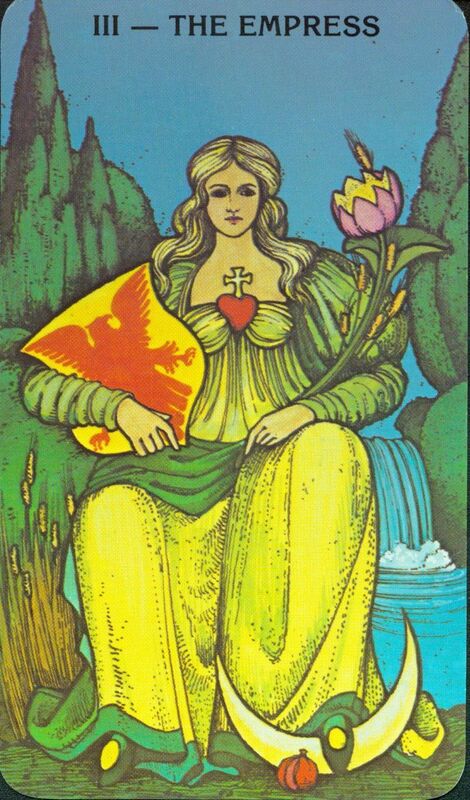 The Empress is a card of fertility, fruition, proliferation, creativity, boundless energy, sensuality and abundance. The week ahead promises opportunities for a creative and productive phase. This is a fertile period for ideas, projects and relationships. This card encourages you to take care of yourself. This is a good time to pamper and spoil yourself. 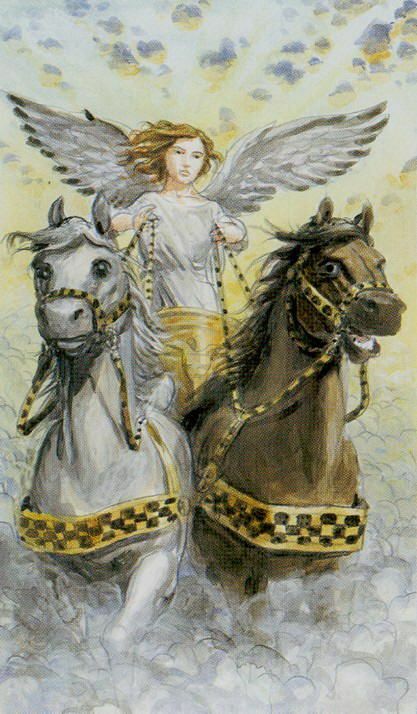 The Chariot denotes gaining control of self – a need for disciplining one’s weaknesses. One should reconcile one’s inner conflict. This is a card of travel, triumph, mastery, accomplishment, determination, conquest, a need to lead and victory.